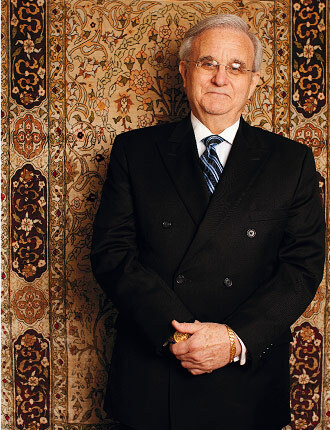 Jim Sinclair is not simply a gold bug; he successfully has called every major move in the precious metal — both up and down — over a generation. But he is not merely a market guru either. Sinclair has had a love affair with markets for 50 years. He has owned brokerages, clearing firms, mining companies and a precious metals dealer. His Sinclair Group of Companies, founded in 1977, offered brokerage services in stocks, bonds and commodities operating in New York, Kansas City, Toronto, Chicago, London and Geneva until he sold them in 1983. At one time he was considered the largest gold trader in the world, but today he is running his African-based Tanzanian Royalty Exploration Company and the MineSet web site that provides unique macroeconomic information to his loyal followers. Sinclair is a good person to listen to. Futures Magazine: You have been right on gold for years. How? Jim Sinclair: Gold has been a primary focus of mine for 50 years; I’m 71, if you put enough time into a subject you probably ought to get to know it. It became obvious to me that gold had performed extraordinarily well as a currency vs. the dollar; it performed very well in the 1980s and it performed very well on the downside. It was obvious to me that a turn was coming in 2001 and we reached a high in the U.S. currency and accordingly I felt we reached a low in gold. FM: As opposed to some gold analysts, you have not been a perma-bull. JS: There was an article in The Wall Street Journal in the 1980s that said “Bull takes off his horns,” which dealt with my feeling that the gold market had maximized its price and for at least 15 years it would not be central to investor interest. I put an ad in Barron’s in 1974, which they had a hard time with but finally accepted that [stated] “Gold at $900.” My call over the past 10 years or so has been $1,650. It has gone beyond that; I put it as a minimum it would trade at in 2011. My calls in gold have had reasons and so far have been accurate. FM: You have done so many different things; talk about your background. JS: I was a general partner at two New York Stock exchange firms. I have owned my own brokerage firm, clearing [members], arbitrage firm, minor metals dealer in London, and I began my sale of those when I called the top in 1980. I felt that the markets had to be approached in a different way and the things that I had done in the 1960s through 1980 weren’t applicable. I was rumored to be the largest gold trader in the world back in the ‘68 to 1980 period and that was a great compliment. Not necessarily true, but I was a significant trader and bear in mind I was a kid and I had no eraser on my pencil and didn’t believe I could be wrong. As you mature you find out you can be. Carrying the type of commitment I carried in those days right now would put me in the hospital if not the emergency ward because of the volatility of the markets. The ownership of the gold companies was simply a different way of approaching the gold market. I am a CEO and president of a public company that is involved in businesses in Tanzania, East Africa.